Across the UK it is estimated that 50,000 housing association and council homes are occupied by someone who shouldn’t live there, or who has obtained the tenancy fraudulently. 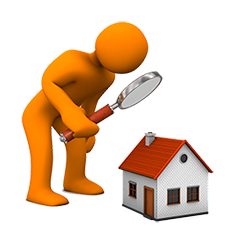 To get in touch, click on the relevant Housing Assoctiation below. Where a tenant lets out their council or housing association home without the knowledge or permission of their landlord. They often continue to pay the rent for the property directly to their landlord, but charge the person they are subletting to a much higher rate. It is unlawful and unfair to sublet and to profit from a property which could be given to someone legally entitled to occupy it. Where a person gets a council or housing association home by giving false information in their application, for example not telling the landlord they are renting another council or housing association property or giving false information about who lives with them. There isn’t enough social housing to meet the needs of people who genuinely need it. We have to make the best use of the housing that is available ensuing that it is occupied by those who are legally entitled to do so. People waiting for social housing will have to wait even longer if homes continue to be occupied by people who have no right to be there. ***Note that all reports will remain confidential.